Events in the year 1875 in Germany. August 16 - The Hermannsdenkmal was inaugurated in Detmold. Hotel Kaiserhof in Berlin opened. The Grand Duchy of Mecklenburg-Strelitz was a territory in Northern Germany, held by the younger line of the House of Mecklenburg residing in Neustrelitz. After World War I and the German Revolution of 1918–19 it was succeeded by the Free State of Mecklenburg-Strelitz, the first was bounded by the Prussian provinces of Pomerania and Brandenburg, the second bordered on the Duchy of Lauenburg and the territory of the Free City of Lübeck. Major towns beside Neustrelitz included Neubrandenburg, Woldegk, Stargard, Fürstenberg, the Grand Duchy comprised the former commandries of the Knights Hospitaller in Mirow and Nemerow. Thereupon, the Grand Duchy joined the North German Confederation and the reconstituted Zollverein, in the Franco-Prussian War of 1870/71, the Kingdom of Prussia received valuable assistance from Mecklenburg-Strelitz. 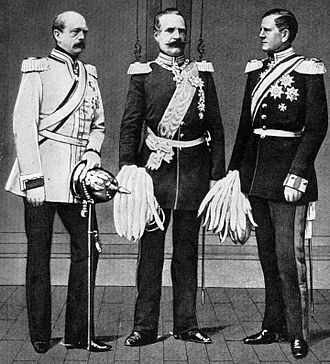 In 1871 both Mecklenburg-Schwerin and Mecklenburg-Strelitz became States of the German Empire, Mecklenburg-Strelitz returned one member to the Bundesrat chamber of states. 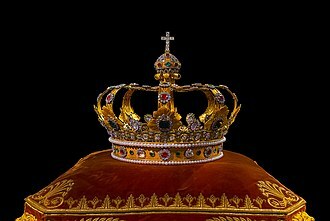 However, the Grand Duke was still styled Prince of the Wends, the Grand Dukes exercised absolute power through their ministers, with an antiquated type of diet representing social classes. There was now a renewal of agitation for a democratic constitution. In 1904 Adolphus Frederick V, a son of Grand Duke Frederick William and his wife Princess Augusta of Cambridge, daughter of Prince Adolphus, in 1907, the grand duke promised a constitution to the duchys subjects, but this was met with opposition from the nobility. 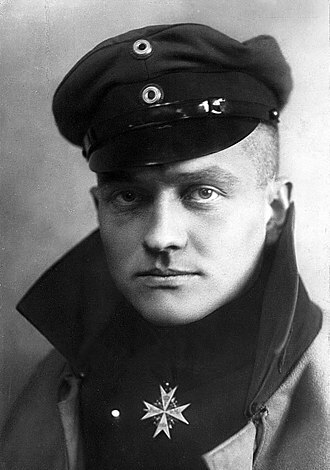 The Mecklenburg-Strelitz dynasty ended just prior to the loss of the monarchy in developments associated with World War I, in 1914, before the proclamation of war between Germany and Russia, Duke Charles Michael renounced his Mecklenburgish citizenship. On 23 February 1918, Grand Duke Adolf Frederick VI committed suicide, George subsequently assumed the title Duke of Mecklenburg which was acknowledged by Grand Duke Frederick Francis IV of Mecklenburg-Schwerin. He was given the style of Highness by the House of Mecklenburg-Schwerin, georges grandson Borwin is the present head of the House of Mecklenburg-Strelitz. Ernest II was the sovereign duke of the Duchy of Saxe-Coburg and Gotha, reigning from 1844 to his death. Ernest was born in Coburg as the eldest child of Ernest I, Duke of Saxe-Coburg-Saalfeld, fourteen months later, his younger brother Prince Albert was born, who became consort of Queen Victoria of the United Kingdom. 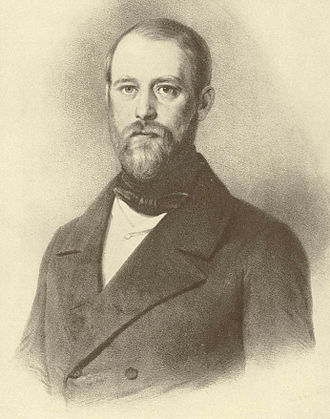 Ernests father became Duke of Saxe-Coburg and Gotha in 1826 through an exchange of territories, in 1842, Ernest married Princess Alexandrine of Baden in what was to be a childless marriage. 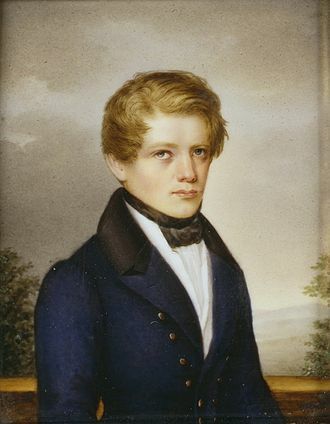 Soon after, he succeeded as duke upon the death of his father on 29 January 1844, after King Otto of Greece was deposed in 1862, the British government put Ernests name forward as a possible successor. Negotiations fell through however for reasons, not in the least of which was that he would not give up his beloved duchies in favor of the Greek throne. A supporter of a unified Germany, Ernest watched the political movements with great interest. His support of the conservatives came at a price however, according to historian Charlotte Zeepvat, Ernest became increasingly lost in a whirl of private amusements which earned only contempt from outside. 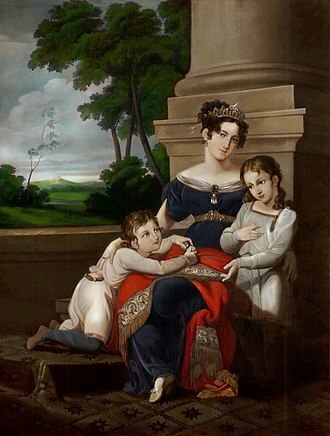 Ernests position was often linked to his brother Prince Albert, husband of Queen Victoria, the two boys were raised as though twins, and became closer upon the separation and divorce of their parents, as well as the eventual death of their mother. Ernest, Hereditary Prince of Saxe-Coburg-Saalfeld, was born at Ehrenburg Palace in Coburg on 21 June 1818 and he was the elder son of Ernest III, Duke of Saxe-Coburg-Saalfeld and his first wife Princess Louise of Saxe-Gotha-Altenburg. He was soon joined by a brother, Prince Albert, who would become the husband of Queen Victoria. Though Duke Ernest fathered numerous children in various affairs, the two boys would have no other legitimate siblings. In 1826, their father succeeded as Ernest I, Duke of Saxe-Coburg and Gotha through an exchange of territories after the death of the uncle, Frederick IV. There are various accounts of Ernests childhood, when he was fourteen months old, a servant commented that Ernest runs around like a weasel. He is teething and as cross as a badger from impatience. Schwarzburg-Rudolstadt was a small historic state in present-day Thuringia, Germany with its capital at Rudolstadt. 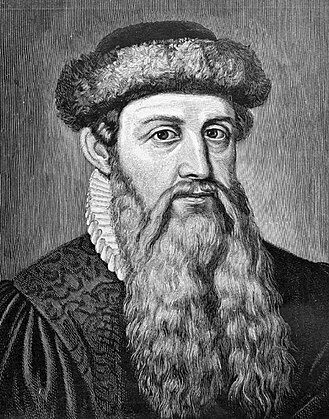 Schwarzburg-Rudolstadt was established in 1599 in the course of a resettlement of Schwarzburg dynasty lands, in 1583 Count Günther XLI of Schwarzburg, the eldest son of Günther XL the Rich and ruler over the united Schwarzburg lands, had died without issue. He was succeeded by his brothers, whereby Albert VII received the territory around Rudolstadt. 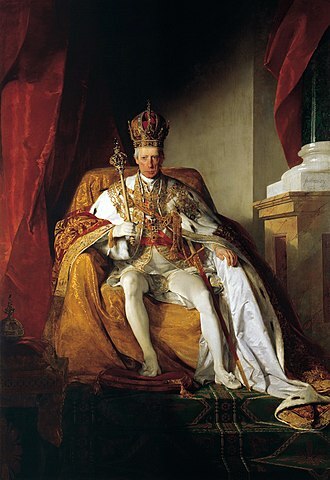 Alberts descendants ruled as sovereign counts of the Holy Roman Empire and it withstood the mediatisation and after the Empires dissolution joined the Confederation of the Rhine in 1807 and the German Confederation in 1815. On 23 November 1918, during the German Revolution of 1918–1919, the former principality became a Free State in 1919, that was merged into the new state of Thuringia in the next year. In 1905 Schwarzburg-Rudolstadt had an area of 940 km2 and a population of 97,000, on the death of the childless Prince Günther Victor in 1925, he was succeeded by Prince Sizzo, who was the son of Prince Friedrich Günther from his second, morganatic marriage. Saxe-Meiningen was one of the Saxon duchies held by the Ernestine line of the Wettin dynasty, located in the southwest of the present-day German state of Thuringia. The Wettiner had been the rulers of sizeable holdings in todays states of Saxony, Saxony-Anhalt, in the Leipziger Teilung of 1485, the Wettiner were split into two branches named after their founding princes Albrecht and Ernst. Thuringia was part of the Ernestine holdings of Kursachsen, in 1572, the branches Saxe-Coburg-Eisenach and Saxe-Weimar were established there. 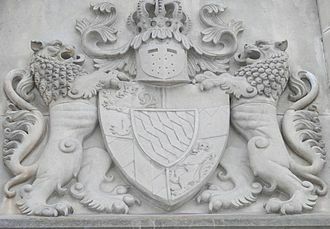 The senior line again split in 1641/41 into three duchies, including the Duchy of Saxe-Gotha, Duke Ernst I who founded this duchy with its seat at Gotha opposed the system of primogeniture. 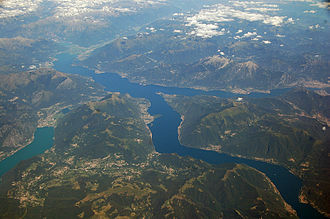 As a result, on his death in 1675 all of his sons inherited part of his holdings and were supposed to rule under the leadership of his oldest son, Ernst I third son, received the town of Meiningen as well as several other holdings. 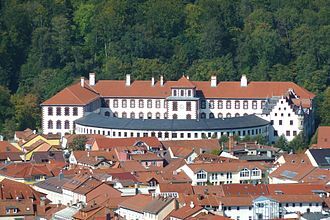 Bernhard chose the town of Meiningen as his residence and became the first Duke of Saxe-Meiningen, from 1682 Duke Bernhard I had the Schloss Elisabethenburg built and in 1690 established a court orchestra, in which Johann Ludwig Bach became the Kapellmeister. 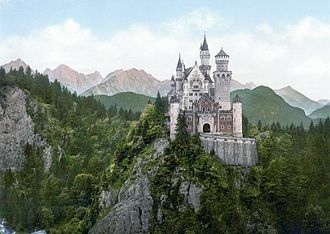 Image: Blick zum "Oberen Schloß" vom "Weißen Kreuz"